One of the more intriguing players in this year’s event, Bradley could see his recruitment explode in July. The length, athletic forward has offers from Wisconsin-Green Bay, Northern Illinois, and The Citadel and South Dakota, while Wisconsin, USC, Oregon State, Drake, Ohio, Illinois State, North Dakota State, Nebraska-Omaha, South Dakota State, and San Diego are expected to watch him this week. Still far from reaching his ceiling, Bradley is an excellent scorer and rebounder around the rim. Church has been one of the hottest prospects in the Midwest as of late. Continuing to rack up offers, the versatile 6-foot-8, 195-pound forward has the length and athleticism that scouts love. He has offers from Bradley, Florida International, Illinois-Chicago, Indiana State, Missouri State, North Dakota, Northern Illinois, Southern Illinois-Edwardsville, South Dakota, and Tennessee State. Gibson continues to steadily pick up offers as Nebraska-Omaha, Northern Kentucky, LaSalle, Illinois State, South Dakota, South Dakota State, and North Dakota State have all offered. One of the smartest players in his class, Gibson is a high IQ shooting guard that always seems to make the right basketball play. Griffin is a high-flying wing that loves to score in transition. The Illinois native recently committed to Illinois State over a handful of other mid-major offers. Griffin is still working hard on his outside game, but few can attack the hoop with the speed and explosion of the 6-foot-5, 195-pound athlete. One of the most explosive scorers in the event, Hall can put up points in a hurry. The 6-foot-4, 180-pound shooting guard can create his shot and get off a clean look against even the best defenders. Hall has offers from Northern Illinois, Florida International, Montana State, North Dakota, South Dakota, and American. He’ll be looking for his first high-major offer as Iowa, Nebraska, and others are expected to watch him. “Red” has had a strong spring as the talented and savvy lead guard has shown the ability to handle the ball, create, score, and lead a team with a high level of success. Equipped with a solid frame and nice skills, Gresham already holds Division 1 offers and he’s one to pay close attention to this week. Fresh off his commitment to Marquette, Heldt leads the Spartans into the July evaluation period. The 6-foot-10 center had a big spring, dominating the paint. Heldt can run the floor with the fast-paced Spartans and goes to work inside with some advanced post moves. Like his teammate Levi Bradley, Key is also putting the pieces together and starting to reach his potential. The lengthy lefty can attack the basket and has a nice mid-range game to go along with it. The Citadel, South Dakota, and Wisconsin-Milwaukee have offered. He’s also expecting Nebraska-Omaha, South Dakota State, North Dakota State, Northern Iowa, Northern Illinois, Drake, and San Diego to watch him in Milwaukee. McGlynn recently committed to Drake over a handful of other mid-major offers. The 6-foot-8, 210-pound big man can shoot the three-pointer efficiently and also has a soft touch inside. McGlynn is a go-to scorer in the paint when his team needs a bucket. With a few interior talents in the region off the board already, McKinley is in a great position to see his stock explode. He has skill and instincts that he pairs with a long lean frame and at his best he can do damage on both ends. A sleeper who could soar in July with hard work and max effort, McKinley is one to watch. 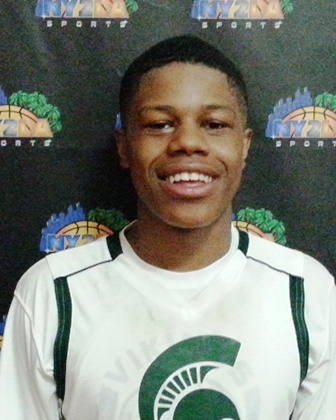 Moss has offers from DePaul, Chicago State, Illinois-Chicago, Wyoming, and Wisconsin-Green Bay. The lengthy forward has proved to be a valuable addition for Playground Elite. At 6-foot-5, 175-pounds, Moss plays bigger than his size and can attack from the post or the wing. With versatility valued so much in today’s game, there’s a lot to like about Monroe. The 6-foot-5, 190-pound forward can score inside and out and also doesn’t mind doing the dirty work on the glass. Monroe is consistently a game changer for the Wisconsin Blizzard with his high motor. Playing up a year, Nikko has shown the ability to hold his own inside. The 6-foot-9, 215-pound big man has offers from North Dakota, South Dakota, and Fairfield, with a host of high major schools interested. Very active on the glass and defensively, Nikko continues to improve his post game as well during the travel season. Playing up a level this weekend, Parker will look to start seeing his name gain some notoriety. Coming off a nice spring, Parker is a very creative scorer that can find different ways to beat his defender. The 6-foot-4, 180-pound shooting guard is a great one-on-one scorer. One of the top shooters in the nation, Pritzl was putting up huge numbers all spring and looks to continue that in the summer. The sharpshooting guard earned an offer from Wisconsin in May and later committed to the Badgers.He can fill it up with the best of them and if he gets rolling WI PGC can make a deep tournament run. "J.T." Ruffin has the potential to rack up some offers this summer. A very intriguing forward, Ruffin has a great combination of length, athleticism, and strength. The 6-foot-6, 210-pound forward is fielding interest from the likes of Illinois State, Western Illinois, Northern Iowa, Nebraska-Omaha, Wisconsin-Milwaukee, Wisconsin-Green Bay, and Northern Illinois. Schwartz appears primed for a big summer. Despite being 6-foot-8 and 195-pounds, Schwartz is one of the best shooters in the Midwest. Putting up big game after big game, Schwartz has plenty of tools offensively. The versatile forward has offers from Marquette, Nebraska, Creighton, and others. He’s expecting Gonzaga, Stanford, Wisconsin, and more to be in attendance. A tall, strong guard, Williams is a very nice prospect. The 6-foot-6, 195-pound guard is comfortable playing anywhere on the wing. Bradley, Illinois State, Northern Illinois, SIU-Edwardsville, and Wisconsin-Green Bay have offered. Williams loves to slash, but can also pull-up from mid-range and three-point land if given space. Few players play as hard on both ends of the floor as Wilson does. At 6-foot-2, Wilson is a bit undersized for the shooting guard position, but makes up for it with his 195-pound frame and tremendous athleticism in the open floor. Creighton, Northern Iowa, and Colorado State have offered. Schools like Minnesota, Wisconsin, Marquette, Iowa, Iowa State, and others are interested. Witthus is one of the most underrated prospects in the event. The 6-foot-6 wing can get hot in a hurry and has been known to light up the scoreboard with his three-point shooting. Witthus impressed in Milwaukee a year ago with his shooting and hopes to do the same this week.